James M. Donovan, PhD, received his undergraduate education at Stanford University and his doctorate from the University of Michigan. A veteran of HMO mental health work, he has served as staff psychologist at Harvard Community Health Plan, now Harvard Vanguard Medical Associates, for over 25 years. Dr. Donovan is founder and codirector of the Mental Health Fellowship at Harvard Vanguard and Assistant Professor of Psychiatry in Psychology at Harvard Medical School. 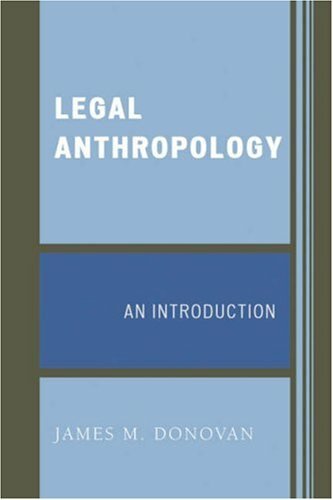 Introduction: Why Study Legal Anthropology?